Robinson Requests: LOOK at ceratopsians! Mark Robinson is a long-standing reader of the blog who has contributed a great many very...amusing comments over the years. 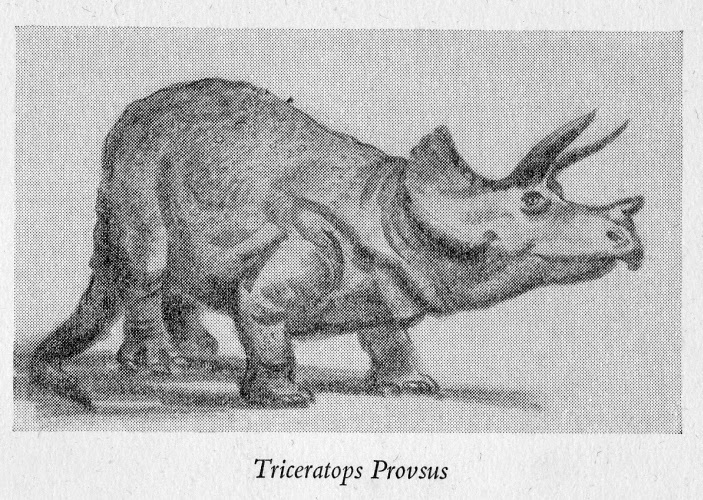 In his latest, he noted his disappointment that I failed to include any ceratopsians from the so-so '60s children's book LOOK at Dinosaurs in my VDA post. Well, damn it Mark, I hope the following will suffice for you. While (as you correctly pointed out) I just don't have the time to scan every single page of these books, here's every single ceratopsian illustration from LOOK. All three of them! As I'm sure I've mentioned before (for how many years have I been writing these, again? ), it's always a joy when a truly vintage dinosaur book finds its way into my clutches, as opposed to I Can't Believe It's Yet Another 1980s Dougal Dixon Dino Book or somesuch. Which isn't to say that the post-Dino Renaissance stuff can't be interesting - far from it - but there's an awful lot more of it about. The illustrations in LOOK at Dinosaurs (1962) aren't especially remarkable, but they're another glimpse into a long-lost scientific world - that of the bloated, lizardy, phylogerontic old swamp farts of Osborne-era palaeontology. Ink on watercolour paper, 202 x 100mm. Scarcely had I mentioned how well Sophie the Stegosaurus complemented the presence of the beloved Diplodocus at their respective entrances to London's Natural History Museum than news of the latter's planned retirement emerged, apparently splitting the public and experts alike into 'Team Dippy' and 'Team Whale' across social media. Of course I'm sad -- very sad -- to see 'Dippy' retire (no, I don't much care for the name either, but that's another story). For me as for so many others, it has been the museum's de facto mascot and symbol for as long as we can remember. 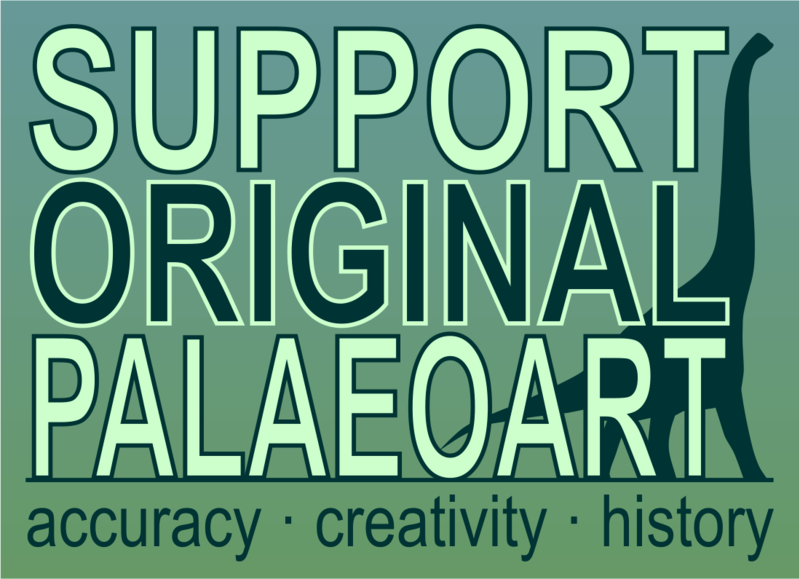 And lest our readers forget, sauropods are among my favourite dinosaur groups. 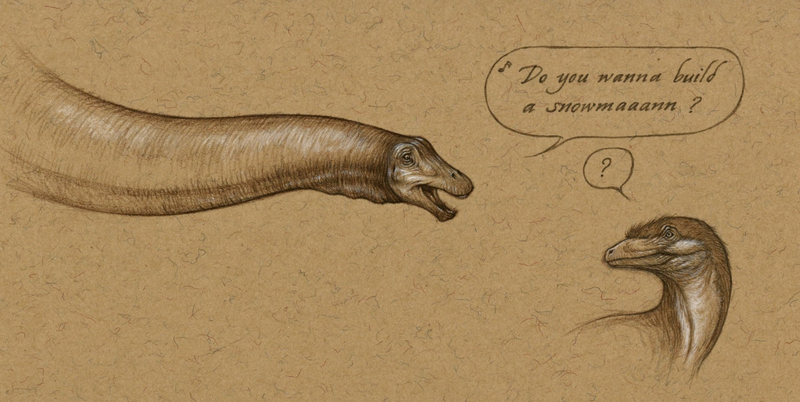 My own 'saurian portrait' is a Diplodocus, for heaven's sake. 'However, change, or its refusal, is not within our gift.' I welcome the blue whale with happy, if subdued, acceptance. Of the many voices in its favour, Michael Rundle of Huffington Post UK encapsulates it best for me, not least because he puts forward the case with great respect and affection for both without any of the unnecessary aggression and derision I've seen accompany some arguments ('Dippy is fake! A lie!'). My illustration above attempts to reconcile this change in the same vein. The title of 'It's your turn now' speaks both of the whale skeleton's place in Dippy's stead and of the blue whale's fragile existence being celebrated now. I wanted to avoid that dreaded word, 'relevance', much bandied about in this case. Nevertheless, highlighting the blue whale's significance doesn't seem to me to signal a disregard for the Diplodocus. But perhaps I'm not cynical enough on that score. 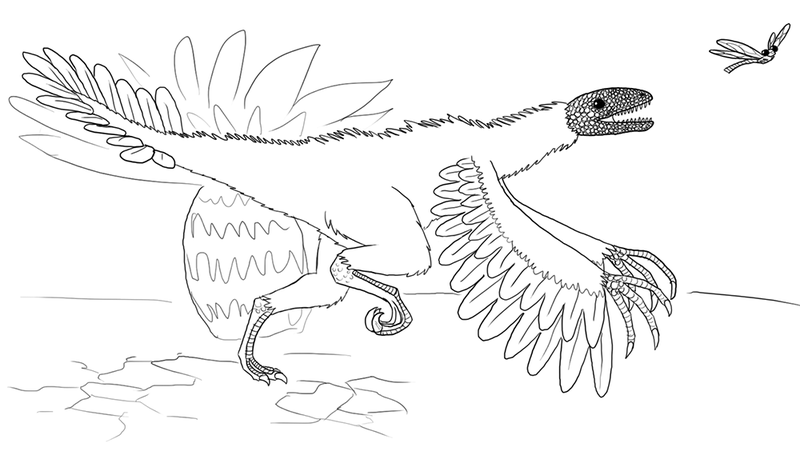 "...You said that naked maniraptorans would be pretty obvious so I decided to throw you for a loop with a feathered maniraptoran...Archaeopteryx with pebbly head and wings with hands, dry cracked earth underfoot, and a single cycad." It's well observed too (even without colour), getting a number of Urvogel tropes just so; the ground-dashing roadrunner incarnation became increasingly prevalent in the '80s and '90s* (as opposed to the previously ubiquitous arboreal version), and the 'palaeobotany is for losers' approach to foliage is strongly reminiscent of a lot of early '90s art. The earlier issues of Dinosaurs! certainly gave me the impression that the poor beasts lived in a permanently parched, arid environment. Like Tatooine, only with Triceratops roving around in place of distinguished, bearded, bitter Shakespearean actors. Well done Jessica! Please send a message to the LITC Facebook page to claim your, er, prize (or if you can't do that, leave a comment below and we'll work something out). Proost! Early snakes have been in the news, with a press push and gorgeous Julius Csotonyi artwork accompanying the publication of a paper in Nature Communications. In their new paper, Michael Caldwell et al have described four ancient snake species dating to the mid-Jurassic, including Diablophis gilmorei. Read more at Laelaps. This is another fine example of why art is central to palaeontological outreach. That iconic ambassador of American sauropods, Dippy the Diplodocus, is ceding the main hall at the Natural History Museum in London to a new blue whale skeleton. Paleontologist Steve Brusatte is all in favor of it, even though public consternation has sparked a #SaveDippy hashtag. Read more from Brian Switek at Dinologue. Our own Asher Elbein has written about Alabama's deep history at Atlas Obscura. Liz Martin offers a great overview of Canadian pterosaurs at Gimpasaura. Sci-art legend and stalwart artist's rights proponent Glendon Mellow shared some of his amazing tattoo commissions at Symbiartic, including Brian Switek's new Torvosaurus. At Tyrannosauroidea Central, Thomas Carr continues to offer valuable insight into the ethics of the fossil market, weighing in on the Naturalis Museum's obtaining of a Tyrannosaurus rex specimen from a private landowner. 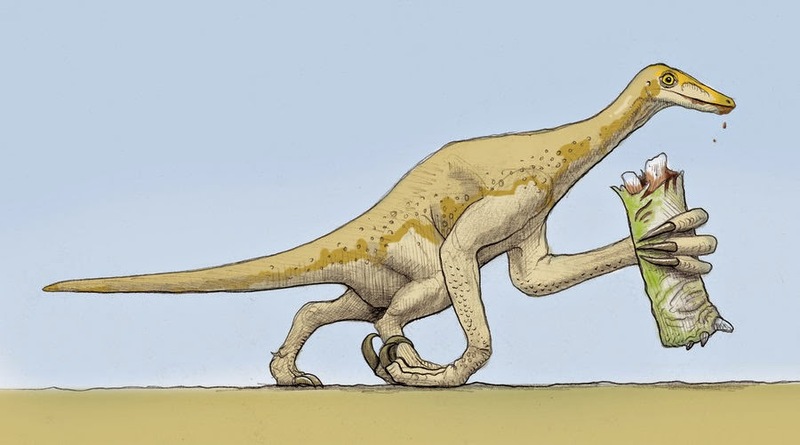 Speaking of the Tyrant Lizards, Mark Wildman writes about The Lost Tyrannosaurid of Kazakhstan at Saurian. Check out Rebecca Groom's amazing plush Velociraptors, preparing for shipment. For practical advice for those looking to pursue a science career and be good community members as well, look to Lisa Buckley at Shaman of the Atheistic Sciences. Dino-fights! At his blog, David Prus offers up his favorite fictional dinosaur battles. Garth Monger designed a cute papercraft Aquilops anybody can print and make. Mark Witton revisited two of his iconic ceratopsid illustrations, but this is no George Lucas/Special Edition situation. The changes are definite improvements to my eye, and clearly show Mark's steadily improving skills. At the great Window to Wildlife blog, photographer Jim Edlhuber captured a great sequence of photos of a Red-Tailed Hawk nabbing a vole. I'm especially enamored of the fourth image in the series. Fuzzy wuzzy ceratopsids may yet be a stretch as far as fossil evidence goes (and some people have really negative reactions to them), but I appreciate them. 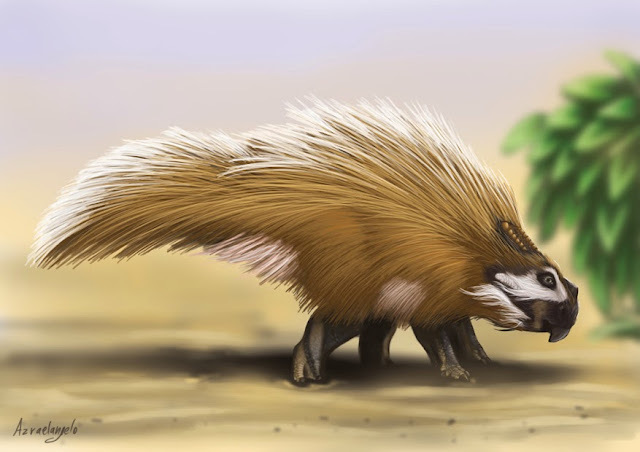 Following the post about Mark Witton's ceratopsian pieces above, here's a super-quilly, porcupine-influenced Bagaceratops by DeviantArt member Azraelangelo. 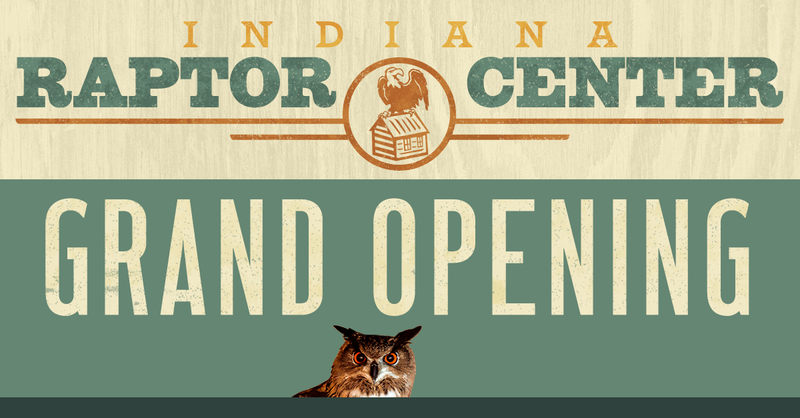 The new Indiana Raptor Center website is open for business. I've written about Indiana Raptor Center several times over the years. They are a local (to me) hospital that rescues and rehabilitates orphaned and injured birds of prey, as well as performing educational programs to teach the public about the importance of raptors in the environment and conservation in general. Since last summer, I have been working on their new website along with my wife Jennie, who was instrumental in rethinking the site architecture and researching other sites in the wildlife rescue world. Now it's complete, and I'd like to invite you to check it out. The center was in dire need of a new site, for many reasons. The new design is focused on two prime objectives: 1) make the site work well on mobile devices; and 2) make it really easy and obvious how to donate. InRC does work that is clearly in the public interest, but they receive no public money. On their old site, fundraising was almost an afterthought. I won't go on too long about the process of creating the site, since I talk about it a bit at the InRC blog. The amount of work InRC does astounds me - as does their ability to weather the almost daily heartbreak that comes with the job. They're a totally volunteer organization. Since I know for a fact there's a considerable overlap between LITC readers and lovers of living dinosaurs, I hope you'll visit the site, share a link with our fellow bird lovers, and pitch a few dollars to them if you are able and inclined. 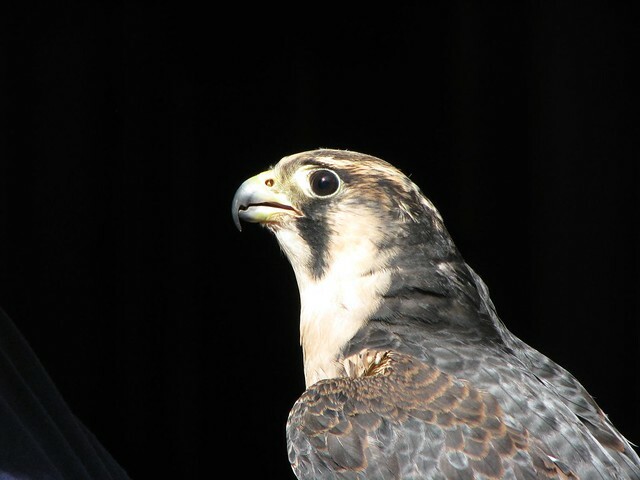 Taiga, a recently departed peregrine falcon who served as an education ambassador for years. I'm a bit prone to tucking away wacky drawing contests in my posts, which the cynical among you might take to be my way of measuring exactly how many people are reading them all the way to the end. But that's a terrible thought, and you are quite awful and horrid people for contemplating it. On the contrary, it's simply the case that I'm well aware of the great many talented artists we have among our readership, and love to encourage them to produce the sort of glorious, preferably very amusing and quite meta artwork that you just wouldn't see pop up on any other blog (except Pteroformer. And possibly Mark Witton's blog. Oh, whatever). In any case, back in December I requested that readers submit a satirical '1990s dinosaur' - the sort of mildly barking restoration of a dinosaur that would have slotted in nicely inside a popular book from that decade (95% of which were written by Dougal Dixon). The winner will receive my copy of How to Draw Dinosaurs, along with a nice card or something that I'll seal with a kiss. First, however, I'd like to throw the entries out to the floor, to see which one LITC readers is most worthy of being crowned The Glorious Winner. Onward! One of the more obscure finds I've made on eBay, this Dinosaurs isn't a book as such - rather, it folds out like a pamphlet or map, and the illustrations effectively cover two frieze-like spreads. (You can also fold it completely flat, but there's no continuity between the two sides.) 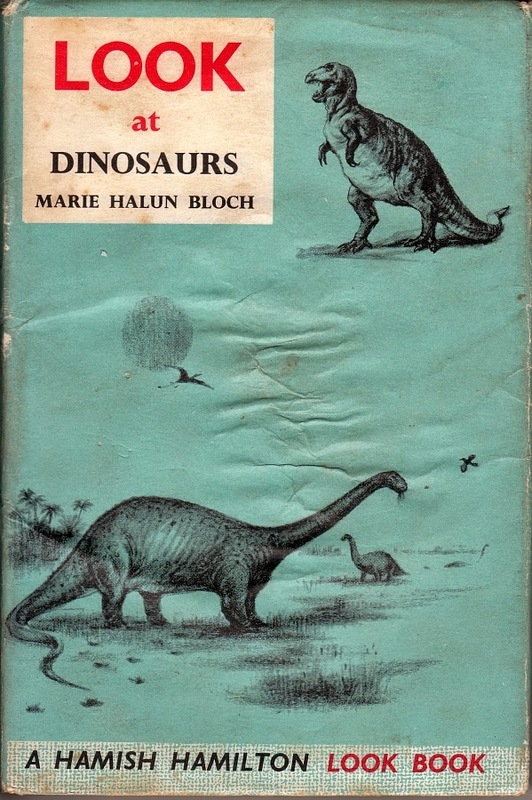 Published by Domino Books in 1979, its charming illustrations take us back to a palaeontological world in flux...while erring somewhat on the old-fashioned side. We're not out of the swamps just yet!